What an enchanting and humorous account of a family's frantic build-up to Christmas Day. 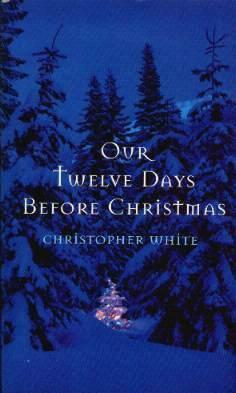 It's a well-written and beautifully told story and I loved the chapter on doing their Christmas shopping. Most of these things happen to us all in one form or another, and through Christopher White, the minister of Westminster United Church in Whitby, ON, Canada, we can see the funny side to our scheming and execution of plans pre-Christmas. What happened to the simpler way-of-life without all the modern-day trappings of a materialistic Festive Season? Gone forever is my guess. His colorful adaptation of the song is delightful and sure to bring you more than a laugh or two. I also enjoyed his imaginative prose and he knows how to tell a story. Each chapter is complete in itself but he'll have you turning the pages just to find out what they get up to next. A wonderful read. Great job. Conclusion - This book would make a charming Christmas gift to anyone who likes a well-told story.